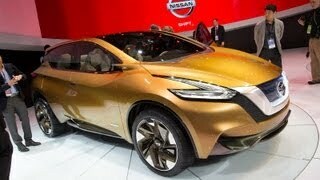 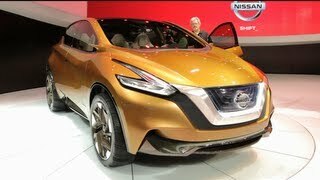 Nissan has revealed the Nissan Resonance concept at the 2013 Detroit Auto Show, which gives an early look at how the next-generation Nissan Murano would look like when it launches in 2014. 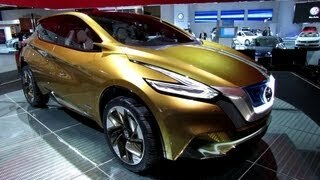 The Nissan Resonance concept with its boldly futuristic aerodynamic styling and fuel-efficient hybrid-electric powertrain, proposes an all-new dynamic and edgy design that once again leads the trend for the crossover category. 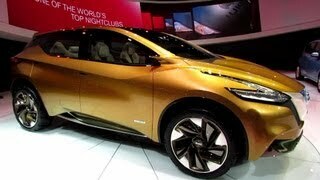 It also has a ‘floating roof’. 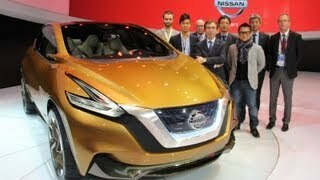 The Nissan Resonance concept features a hybrid drivetrain consisting of of a 2.5-liter four-cylinder engine and a combination electric motor / generator linked to Nissan's next-generation Xtronic CVT®(Continuously Variable Transmission).